Proposals to increase choice for students and save on tuition fees have been passed by the House of Commons and House of Lords. Parliament has approved legislation to support the expansion of two-year and other accelerated degrees, giving students starting university from September 2019 more choice than ever before. Legislation has been passed in the House of Lords, following approval from the Commons last week, which means students studying shorter university courses – such as three-year courses condensed into two – would save 20 per cent on tuition fees compared to traditional courses. For example, students who opt for a two-year degree will save at least £5,500 in total tuition costs compared to a standard three-year course. 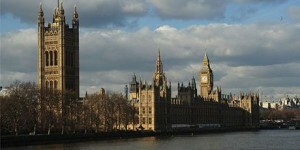 The regulations will now go to the House of Lords for approval. In addition to a saving on tuition fees, students will also benefit from a year without paying any maintenance costs through an accelerated course, which would allow them to access the workforce quicker. Accelerated degrees have been a key part of the Government’s ambition to maximise choice and flexibility for people wanting to study in higher education, and are expected to remove barriers for a number of underrepresented groups, including mature students. Accelerated degrees offer the same qualifications and are quality-assured in the same way as a standard degree, but delivered over a shorter, more intensive timespan. For example, a two-year accelerated degree will condense 3-year degrees with 30 weeks’ teaching into 2 years with 45 weeks’ teaching. Proposals allow institutions to charge up to 20 per cent more per year for accelerated degrees (in recognition of the increased teaching time required), but the overall tuition fee cost to the student is at least 20 per cent less than the same degree over three years. The 20 per cent increase per year will allow providers to support higher in-year costs for accelerated provision, such as tuition weeks over the summer and administrative staff pay and capital overheads. For the taxpayer, it means significantly lower tuition loan outlay, higher rates of repayment and therefore a lower cost to the public purse of higher education. A higher proportion of students on accelerated degrees will also repay their loans in full.